We are experts in the design, construction and sale of dynamic simulators. We have gained a great deal of experience in the production of various types of driving simulators for professional and recreational use. We create platforms for the simulation of movements 2 DOF, 3 DOF, 5 DOF, easy to use and to install. We are a company certified with CE regulations, always attentive to technological innovations. Our catalog includes a wide range of quality products for highly realistic driving experiences. 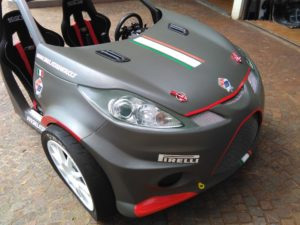 Design, construction and sale of driving simulators. bumps, descents and ascents, vibrations for crossings on the curbs. Our driving simulators are completely configurable according to the needs of the user with the possibility of varying the movements at his pleasure. 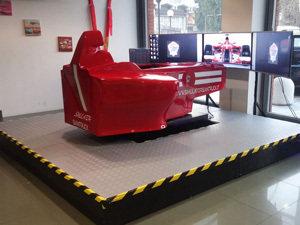 The dynamic platforms for driving simulators perfectly reproduce the real movement of the traveled surface and of the driving sensations. Fifth element bases equipped with 5 engines able to recreate all the sensations of real cars. 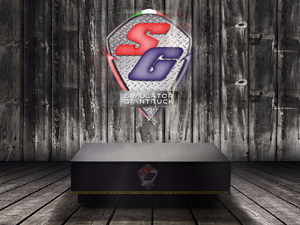 Cockpit entirely made by Simulator Giantruck.